I'll show you exactly how my bulk email network looks like. My bulk email guide is based on my own server setup. My setup is made with two different kinds of servers. The Main Server is the server where your Email Marketing Software (EMS) is installed. Since we are getting ready to set up a bulk email server with an option to scale it up if needed I recommend you pick a bit more powerful VPS for it. MTA server is a server where PowerMTA is installed. These servers are doing all the sending. This is just one layer of protection to keep your MTA servers away from your Main server. In case there is ever a problem your main server will never be taken down since it's not doing any sending at all. MTA server can be any budget VPS with at least 1GB RAM. I am using cheap $2 servers for sending. I have 1 main server where I do all everything from creating email campaigns, schedule sendings to monitoring and configuring my sending servers. I have 64 budget servers I use for sending. Each has 1 IP so I have 64 IPs to rotate. 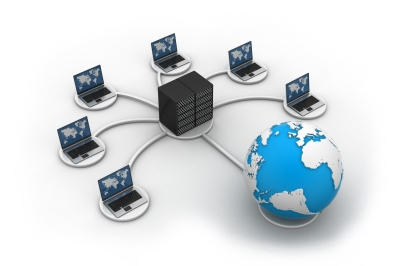 Of course number of sending servers can be lower or higher depending on your sending needs. You can start with let's say 10 and then add 1 per day/week/month. Once sending server is setup there is no need to access it as you can do everything needed from Email Marketing Software and/or PowerMTA Management Console. Each of my sending servers has a unique domain that is also used for domain masking. This way all emails send from domain16.com will also have links pointing to domain16.com. Of course, you can use any other domain for masking if you want. Why is setup like this better? You bought a server and set it up for bulk emailing. You imported your contacts, created some mailers, started sending and since it was a long day you went to sleep. Next morning you wake up all pumped and eager to see how your email campaigns performed. But wait, are we in a horror movie or are you still sleeping. Your server is down and you can't access your Email Marketing Software. Finally, you opened your email and saw that there was 1 (ONE!) spam complaint and your VPS provider shut down your server. What is even worse is that your emails actually got delivered and all those clicks you got were for nothing.